Keep it classy with the Bat symbol! 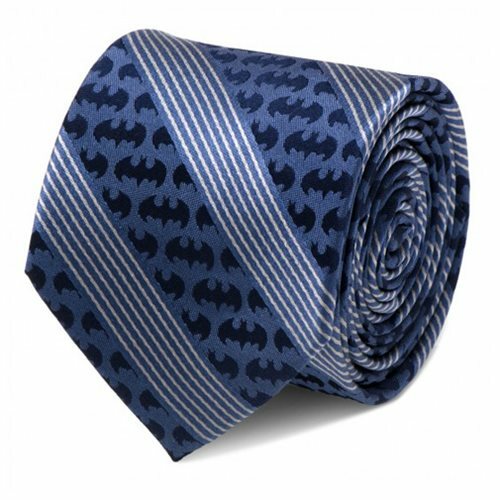 This Batman Pinstripe Navy Italian Silk Tie features a spiffy design of the black Batman symbol on a blue background, broken up by diagonal white pinstripes. Made from silk, this tie measures 59-inches long x 3-inches wide. Ages 13 and up.